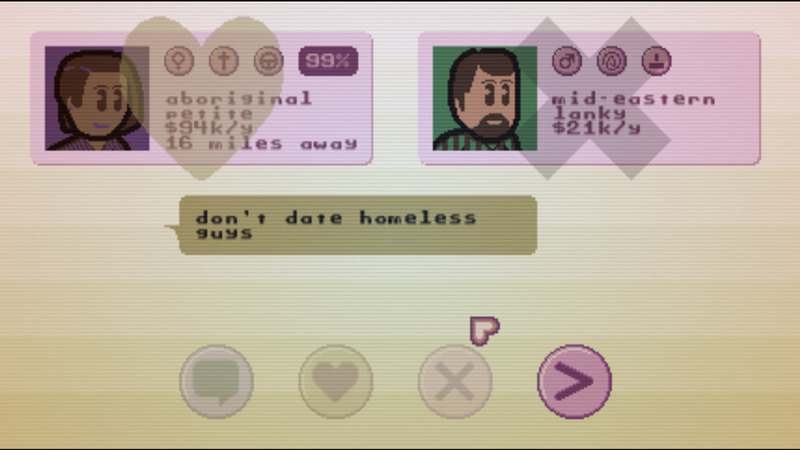 "A very realistic yet very funny dating sim"
QuikDate might be the most realistic dating simulator game ever made, it’s actually hugely funny and a very fair reflection of the real and very popular world of online dating where people can be very unpleasant if you approach them and they’re not attracted to you. You start off by providing some very basic information about yourself such as gender and religion and then you can add one personal interest you have, sadly the QuikDate computer then adds the rest of your details and they’re normally not particularly flattering! 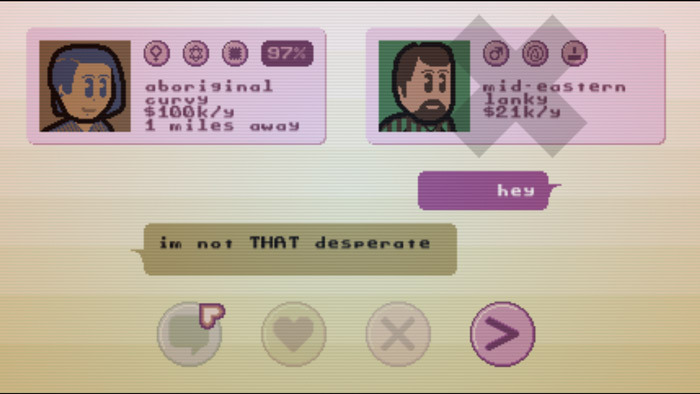 You can then jump in to finding your potential matches which you can either click the like button or decide to send them a message but it’s unlikely you will get a particularly welcoming response from anyone and the game is almost as depressing as real life online dating however at least you can console yourself with the fact that these aren’t at least real people rejecting you at every turn! Dating simulators seem to be growing in popularity at the moment probably because they are more fun than the real thing and this is another one to add to that list but don’t hope to find love here, it’s very unlikely! 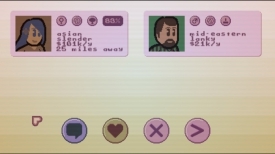 You can download QuikDate here for free.